Struggling sales and plunging profits be damned, the BlackBerry guys are going about their work very thoroughly. Yesterday BlackBerry released a very better Q5 and today BlackBerry said that the BlackBerry Messenger Voice (BBM Voice) will now be available for all old BB versions viz. OS 5.0, OS 6.0 and OS 7.0 along with its current OS 10.1 via an updated BlackBerry Messenger 7.0 (BBM 7). 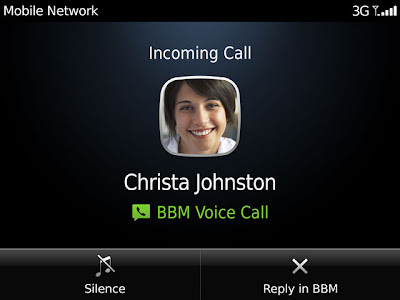 The BlackBerry Messenger Voice feature allows users to make free calls to other BBM contacts over Wi-Fi which is considerably cheaper option then making phone calls especially state to state calls. The newly updated BBM 7 packs quite a few features which will interest you. It will have multi tasking capabilities with a split screen mode which will let users check BBM chats, emails and access other Apps even while taking a call. It will also have a feature which will let you check if a user is online for a voice chat. Another add-on to the new BBM 7 is BlackBerry ID Integration, an optional feature that aims at simplifying OS and device upgrades. Which means you will require to get a BlackBerry ID to use BlackBerry Messenger Voice and this can be done when the App gets updated. For those who want to shift from older BB OS to the new 10.1 smart phone, the data will be carried over to the new smart phone without any loss. You can download the updated BBM 7 here from BlackBerry World for your BB 4.5 OS upwards.